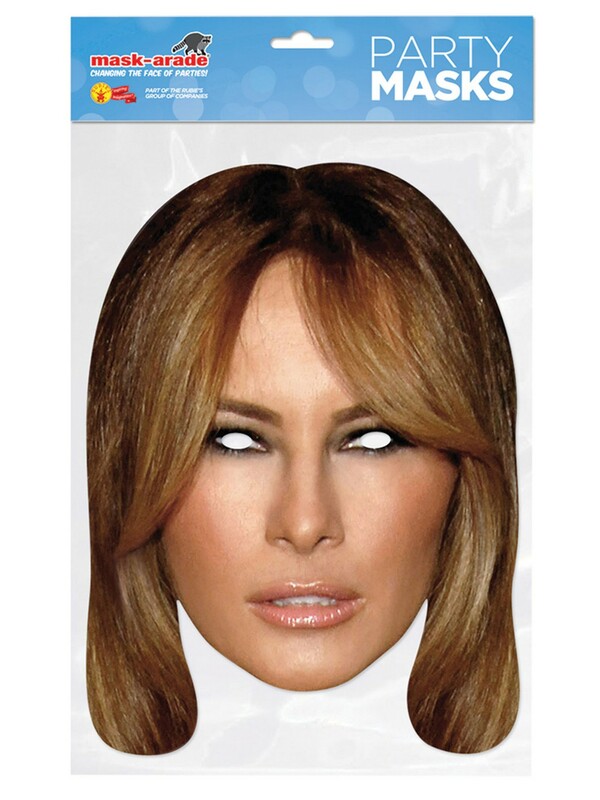 Have fun making a statement at your next office or stag party wearing this First Lady Trump Mask. This mask is made from a sturdy cardboard that covers the entire face to keep your identity concealed. It is held in place by an elastic band with two pre-cut eye holes that doesn’t restrict vision.